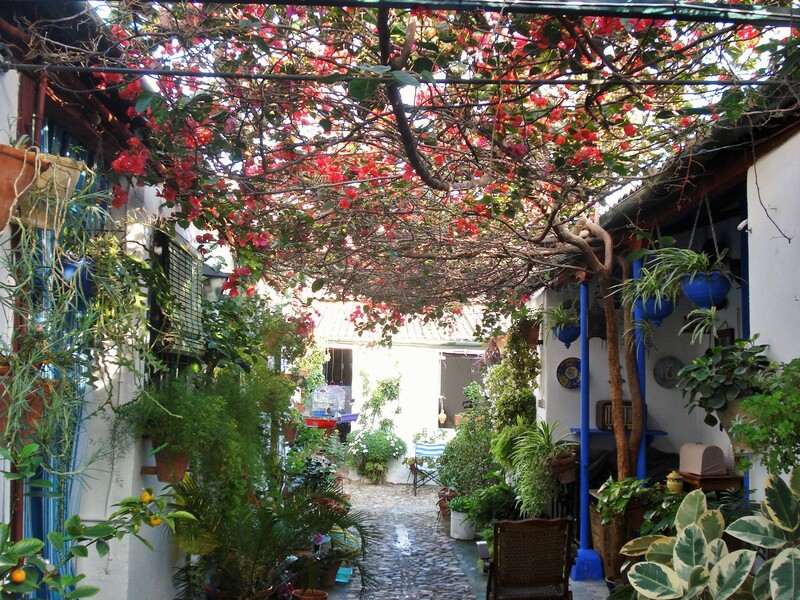 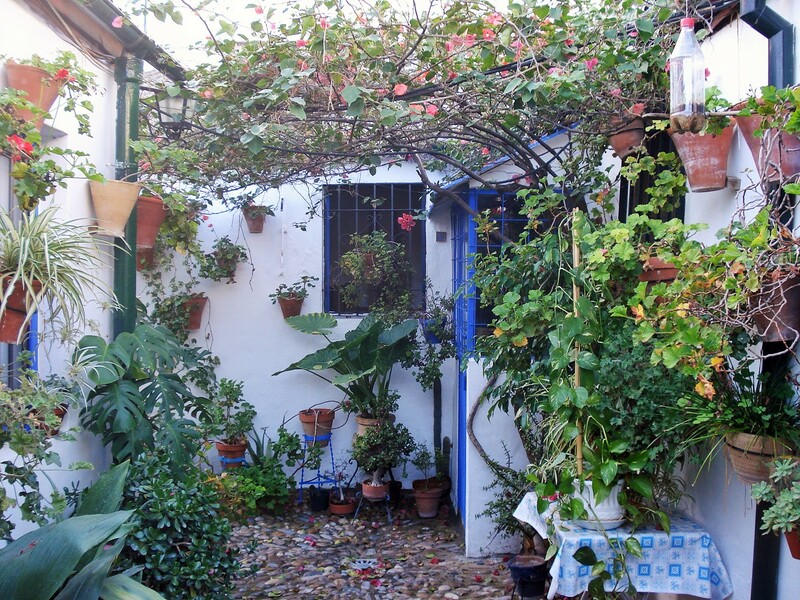 Nothing distinguishes the Casa del Patio from any of the other houses tucked away in a quiet side street of this old Cordoba neighborhood. 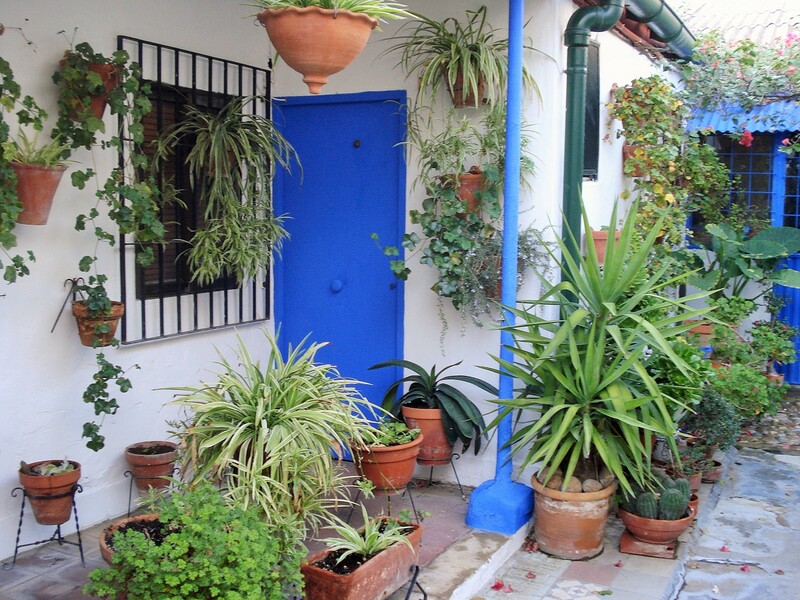 It is only when stepping inside that one is transported to this unexpected green oasis. 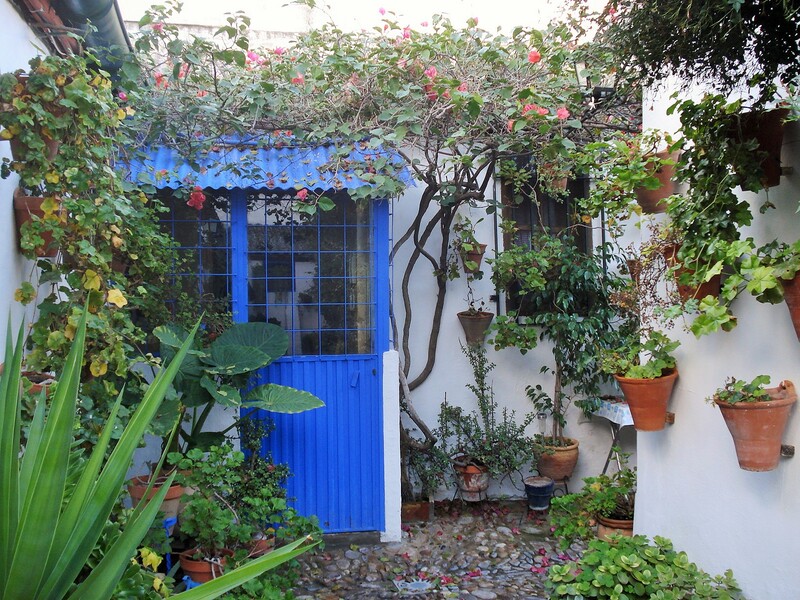 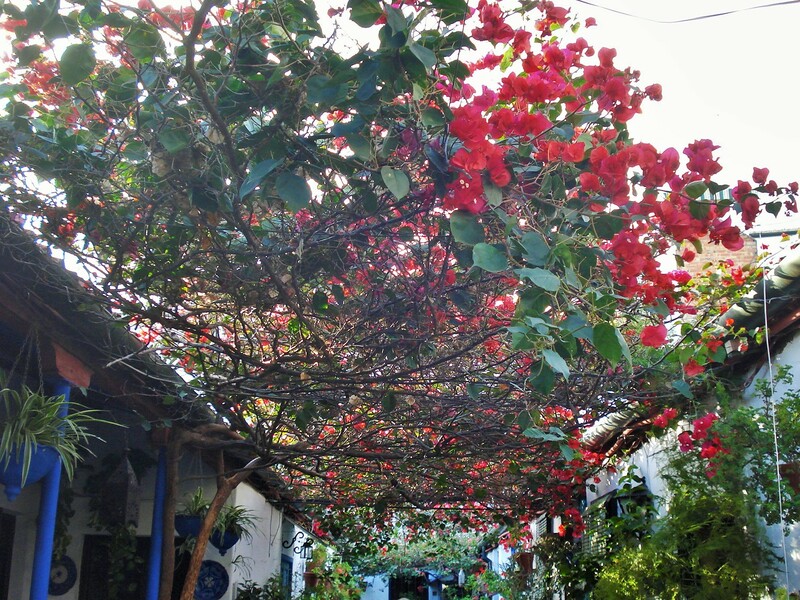 The building itself is only a series of meandering little cottages, quite modest on their own, but the residents, many of them artists and craftsmen have transformed them into a wild and lush haven of greenery. 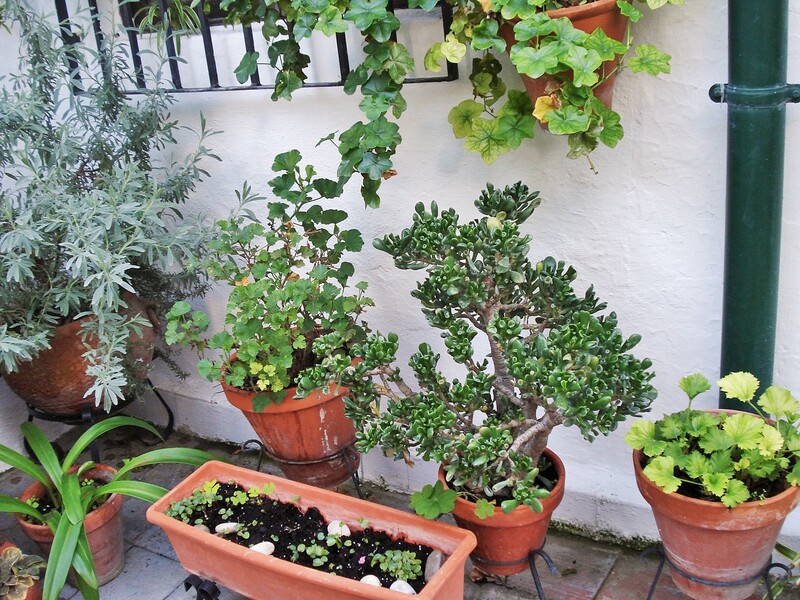 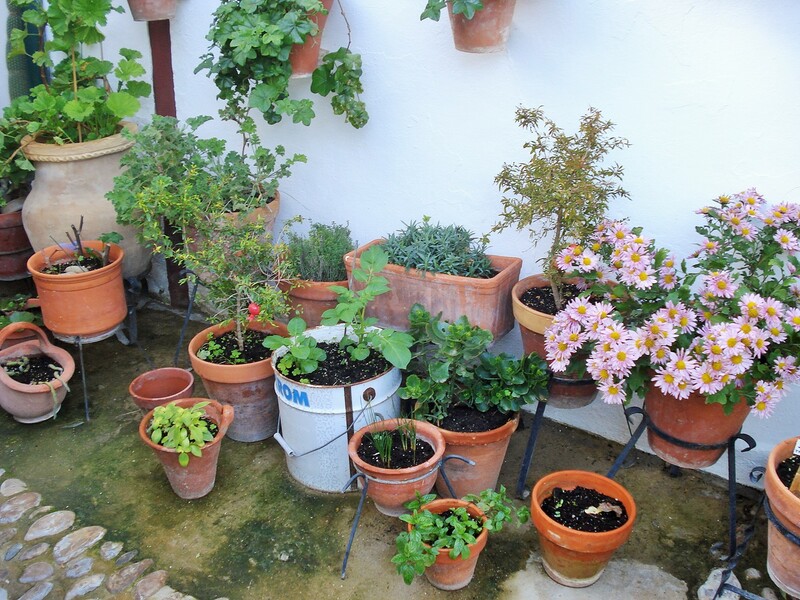 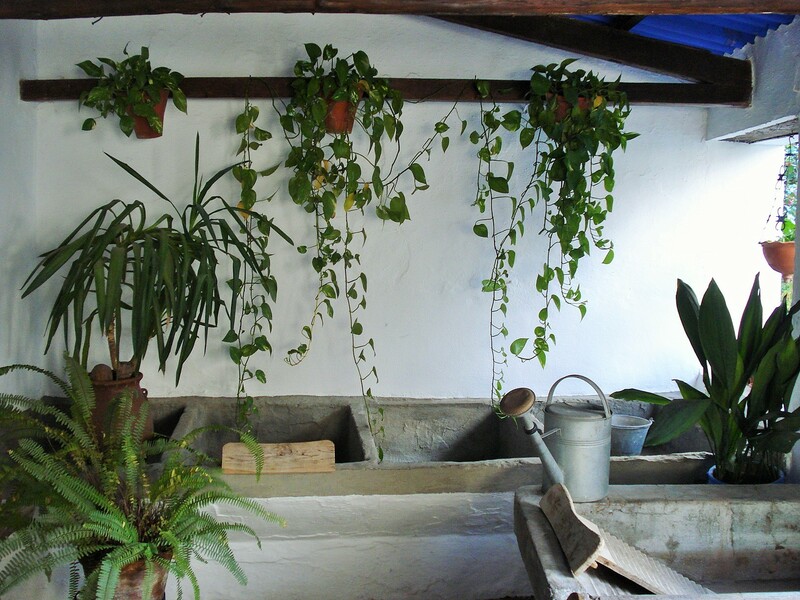 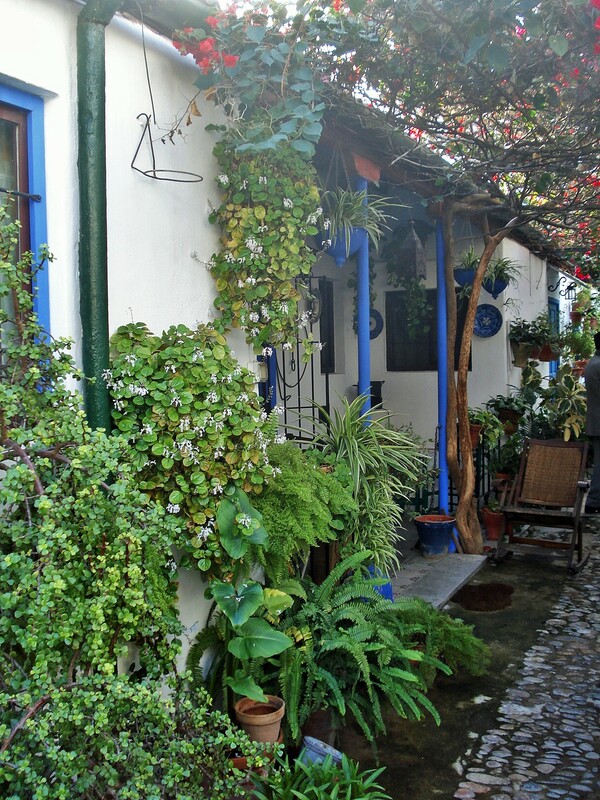 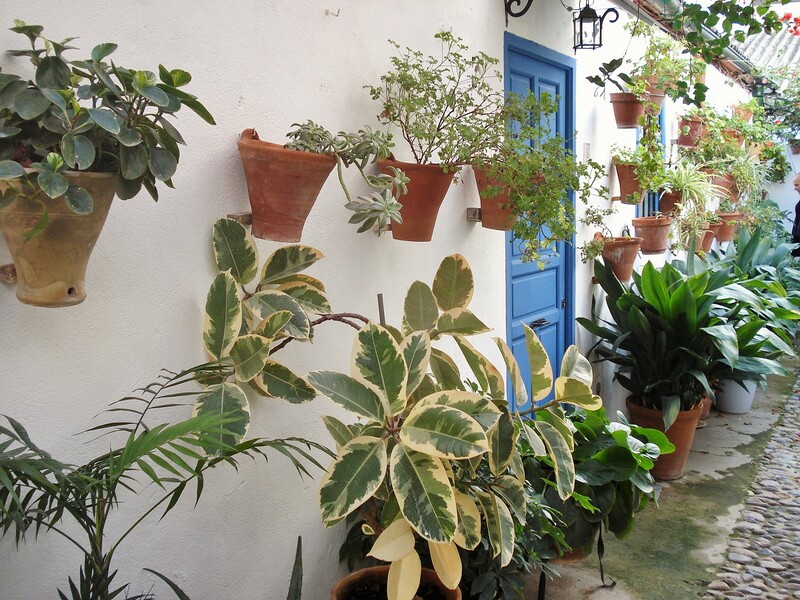 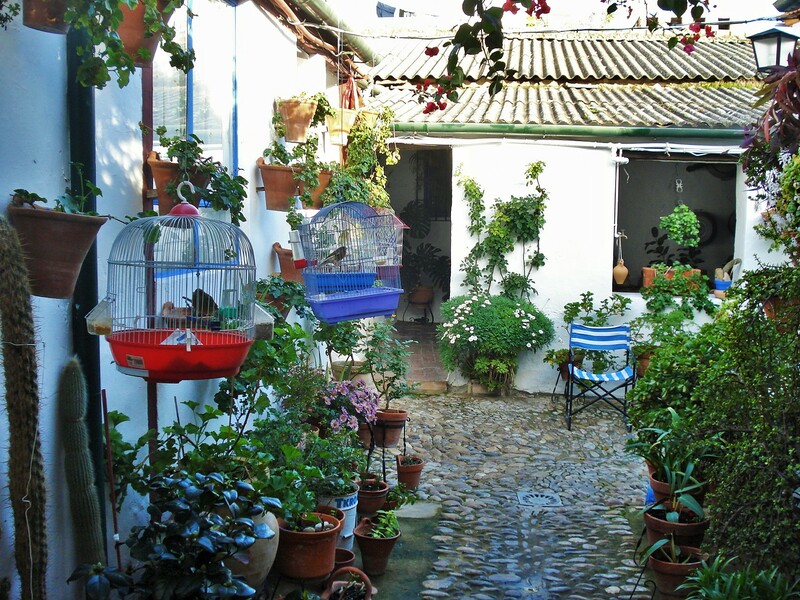 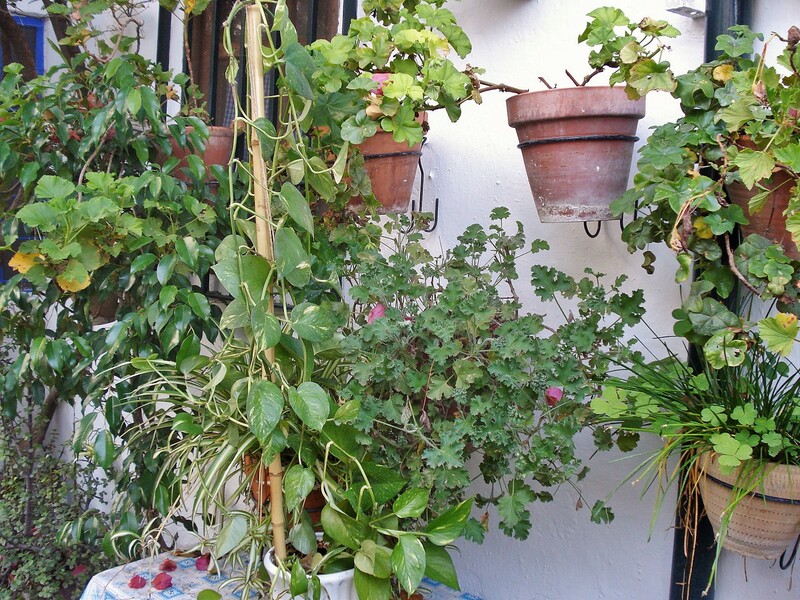 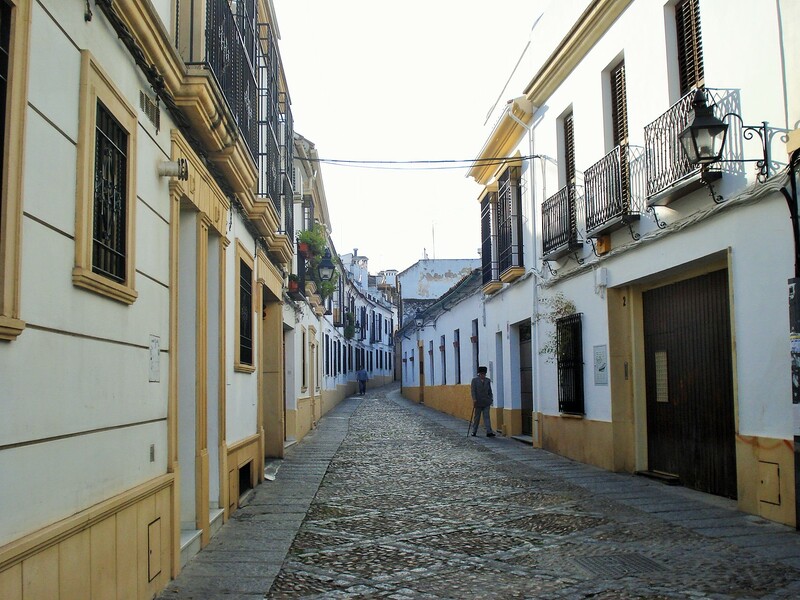 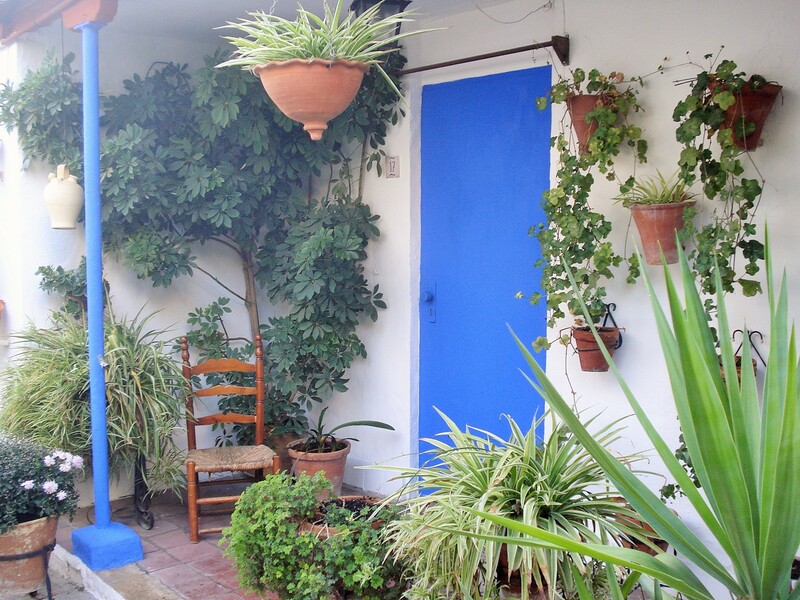 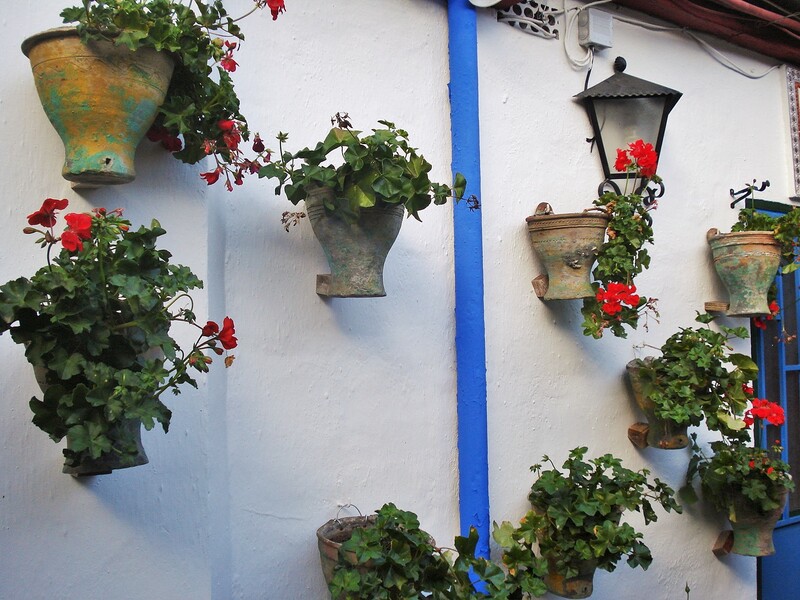 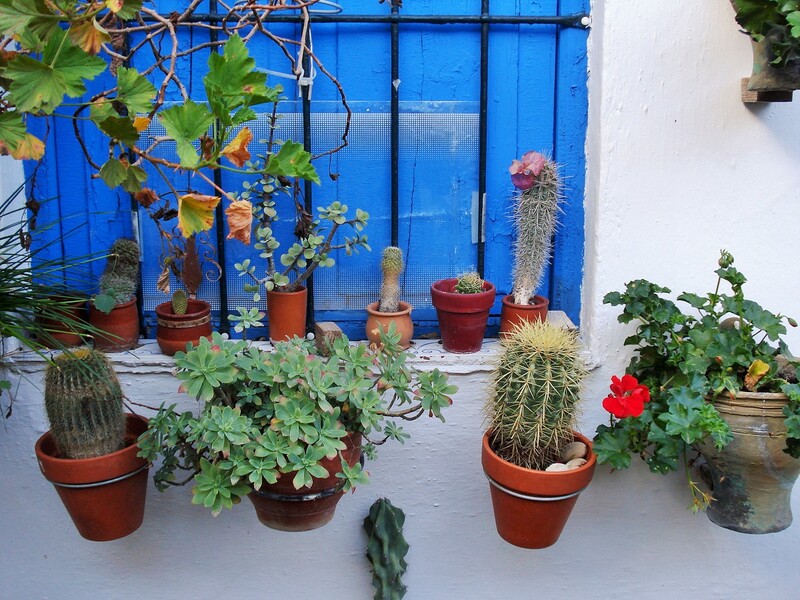 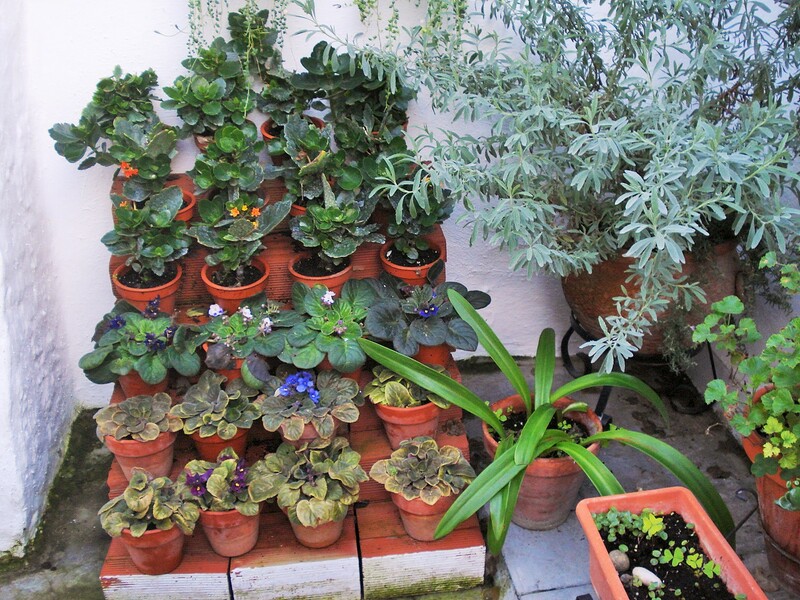 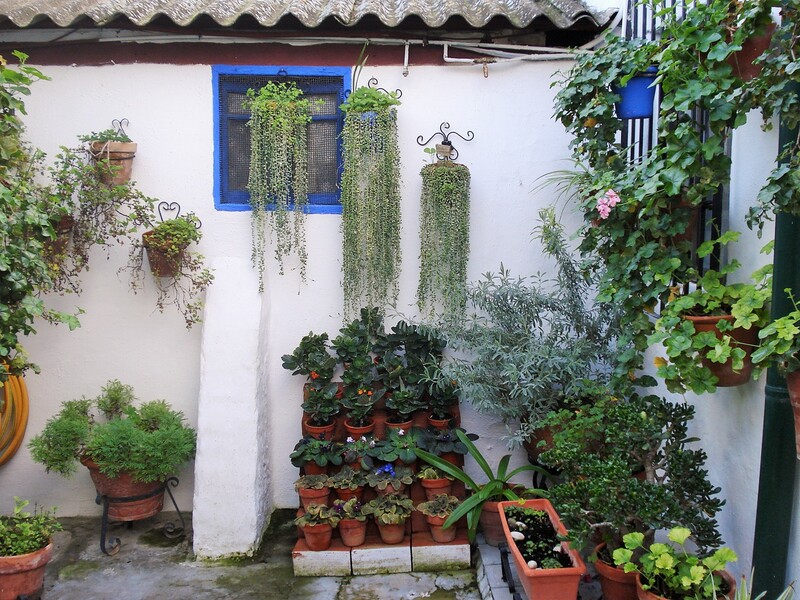 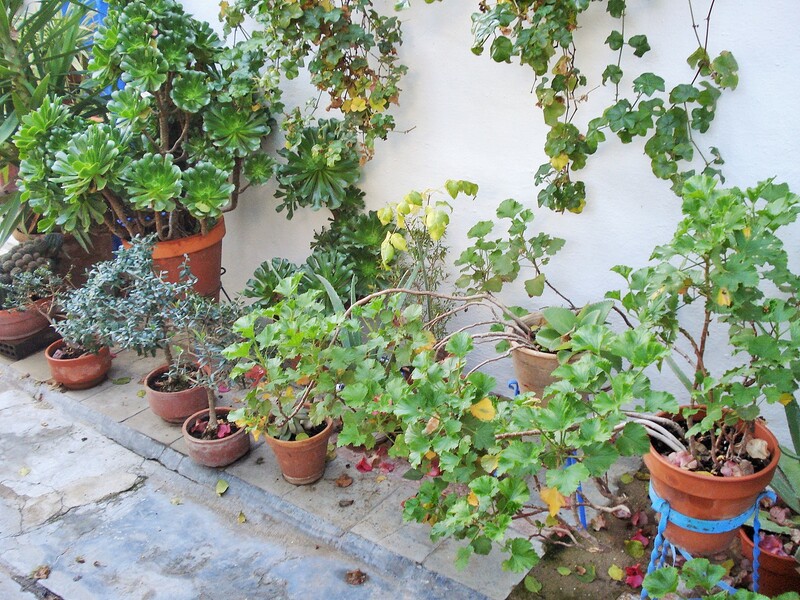 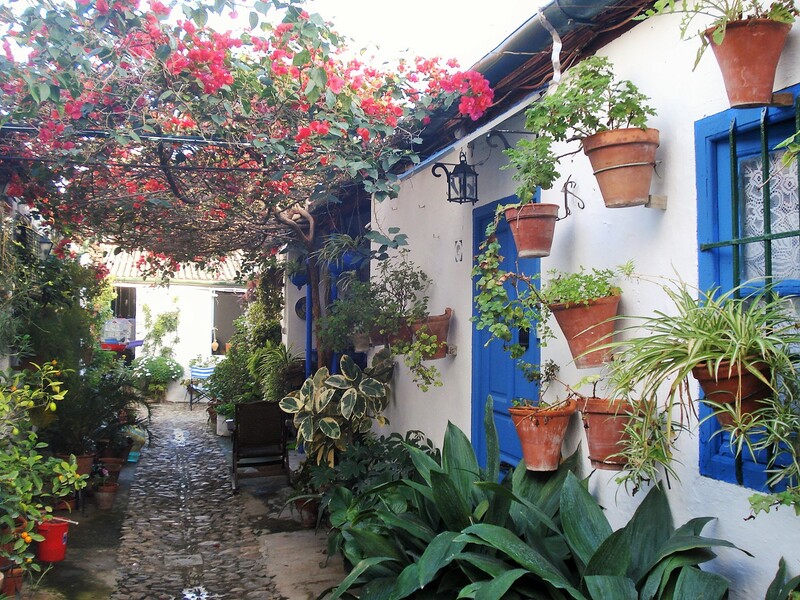 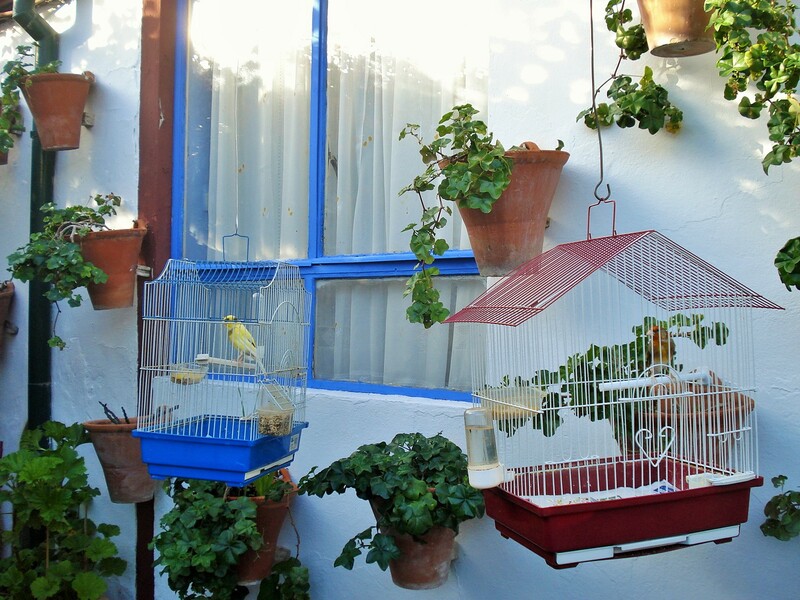 Cordoba is famed for, and prides itself in, its patios and courtyards. 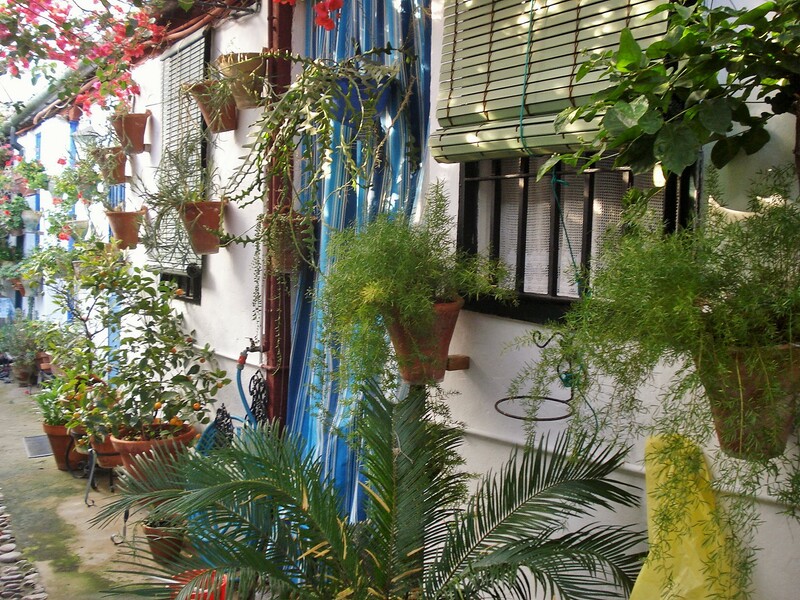 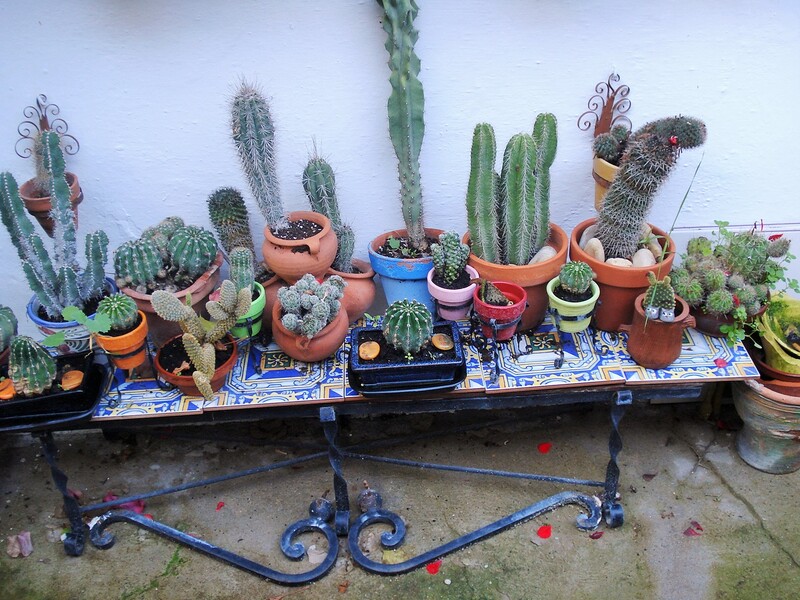 It hold a Fiesta de los Patios once a year in May, during which prizes are awarded for the best patios, and many private buildings open their doors for visits once a year on that occasion. 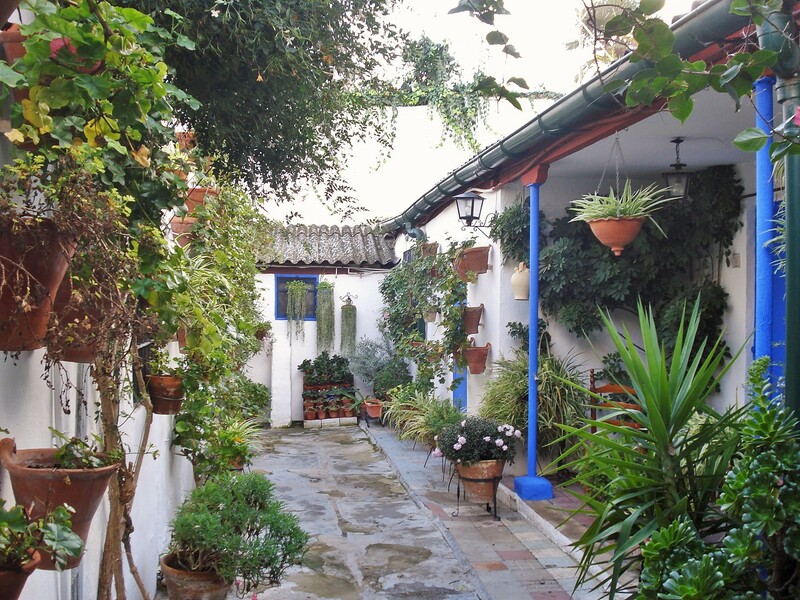 Case del Patio is one such venue, and never fails to garner top rankings in the Festival. 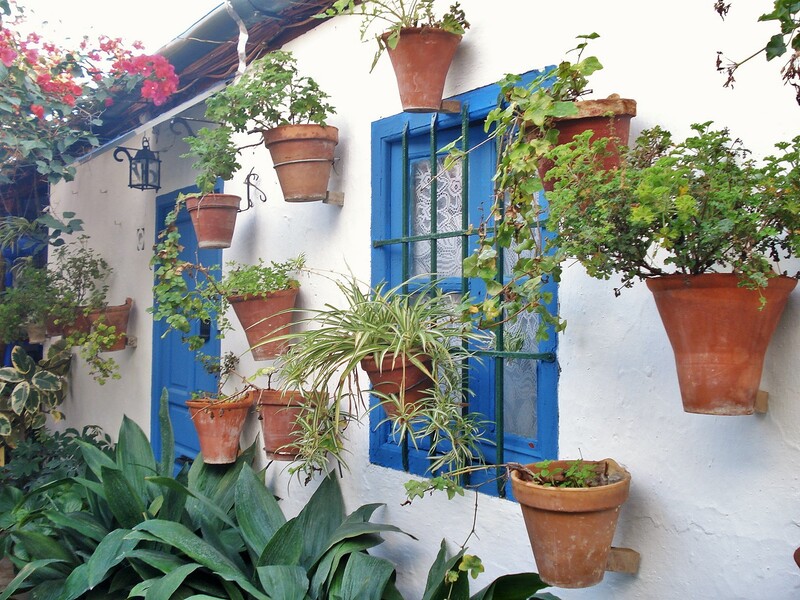 The residents rival in ingenuity to create the most creative visual displays in container gardening and vertical gardening, with mass groupings of containers hanging from every wall and filling every patio with bougainvilleas and other climber, perennials, flowering plants, cacti, succulents and even palms. 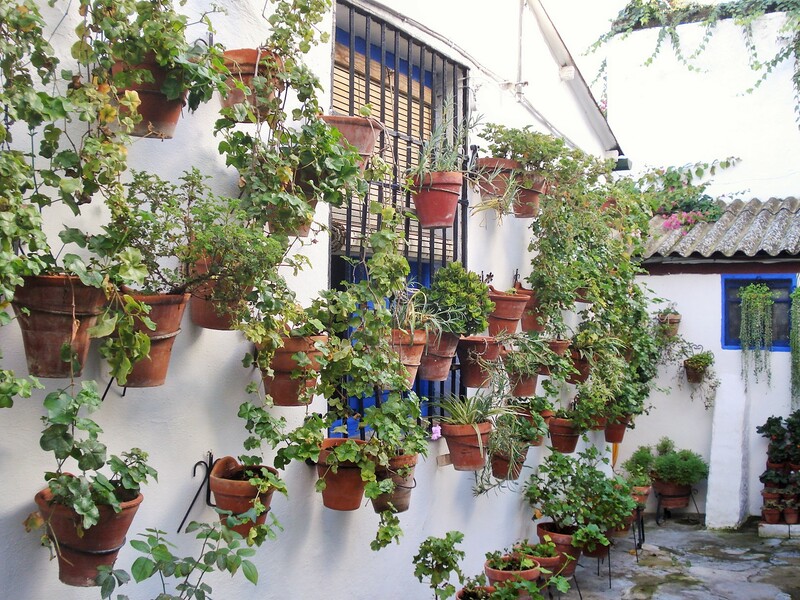 In this second post on the Casa del Patio, I am featuring more great vertical and container ideas.